Our kickoff to Sign Expo Canada 2016—co-presented by the Ontario Sign Association and the Sign Association of Canada (SAC-ACE)—begins on the beautiful Royal Woodbine Golf Course, nestled in the Mimico Creek Valley. 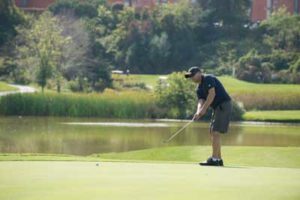 Immediately following a BBQ lunch, golfers at this highly anticipated annual tournament will enjoy a rewarding 18 holes of golf with friends and colleagues. The tournament will be followed by a delicious buffet dinner, where the players and their guests can enjoy stories of the day and celebrate the many ‘champions’ of the game. 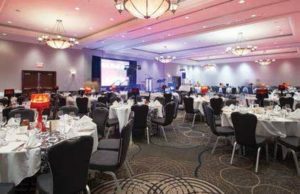 Reception (Muskoka Ballroom): 6 p.m.
Dinner, Casino and Dancing: 7 p.m. Invite your staff and clients along to enjoy an evening of celebration, music, great food, dancing and a chance to try your luck at the casino tables. Join your peers in honouring and celebrating the best in the sign industry as we announce the winners of the Sign Competition, Design and Wrap Competitions, Creative Competition, SAC-ACE Volunteer of the Year, SAC-ACE Sign Professional of the Year and SAC-ACE Outstanding Industry Contributor of the Year Awards. Begin the evening listening to Jason Vincent perform and enjoying cocktails and hors d’oeuvres. Move into the evening with a sumptuous dinner, while SAC-ACE celebrates the winners of its awards. When dinner and the formalities are complete, try your luck at Blackjack or Texas Hold’em casino tables, listen to a live DJ and dance the night away. A portion of the casino proceeds will go to charity, so play to give! Special thanks to Gemini Canada and Roland DGA Corp. for their sponsorship of this event. Friday, September 23: 9:30 a.m. – 5 p.m.
A lounge is provided for exhibitors’ use during show hours, to relax, work or find a moment away from the crowds. Exhibitors should remember to inform and encourage their staff to use the lounge. To thank you for your support, exhibitors are invited to a one-hour cocktail reception in the lounge immediately following the close of the trade show.